The company was founded in 2012 and was self-funded and built on customer revenue until its series A round in 2014. 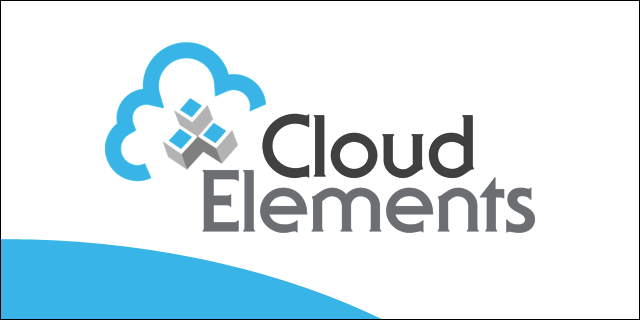 Cloud Elements raised $3.1 million of Series A venture funding through lead investor Grotech Ventures and Icon Venture Partners, with participation from Galvanize Ventures. Cloud Elements helps SaaS application developers get out of the world of building & maintaining integrations, and allows them to build one single integration to their Uniform API, in the category they need, and then access dozens of individual end points. This uniquely positions Cloud Elements to support organizations as they address customer expectations around connected environments, mobile technologies, emerging markets, and cloud services. What’s the hardest lesson you’ve had to learn so far? The hardest lesson I’ve had to learn so far is how to stay focused. This means not letting product and product strategy get too broad, too fast or misaligned. Snacks. Pizza. Foosball. :-) OK, on a more serious note, each team at Cloud Elements uses their variation of an Agile methodology. Everything we do is completed in two week sprints. Using that rhythm, it’s naturally motivating to see things get done every 2 weeks, and then celebrate our accomplishments, as a team, and iterate to keep moving forward. If you had an extra $1,000 to spend on marketing, what would you do? I’d put an extra $1000 towards content. Content. Content. Content. The more content that drives leads to our site through organic search, which inherently means the more we’re educating the market on a topic we live and breath, the better our business will do, bottom line. What’s your biggest personal weakness, and how do you make up for it? A personal weakness of mine is impatience, and pushing things too fast. I make up for it with the strong leaders on my team who won’t succumb to the pressure of getting things done. They plan well and set good deadlines based on realistic schedules. They’re great leaders, and that’s why they’re leading our business. What personality trait has served you best as an entrepreneur? The personality trait that’s served me best as an entrepreneur is being a flexible thinker. It goes back to not having to always be right, but being flexible and able to adapt to other ideas. Whether those ideas are coming from your employees, the market, or customer feedback… Know how to absorb and adjust. What’s the weirdest way someone has used your product? Maybe not weird, but a definite AH-HA that led to a pivot, a term coined by Eric Ries. Our pivot was recognizing that developers really didn’t need help integrating their one service or app to a variety of categories. What they really needed was a way to quickly integrate one (category) to many (cloud services). That was something we didn’t understand going into it. Through learning, and I suppose ‘weird’ use cases, we learned that it’s actually more interesting and valuable to build one integration to a uniform API and connect to full set of services (all under one category). What’s one quirky fact about you, your team, or your office culture? One quirky fact – We’ve been kicking around an idea about a team mascot, named the REST-afarian. (Side note, REST is the common language that our APIs are built on). In creating a mascot, we’ve learned that a lot of brainstorming and ideas can lead to some quirky happening at the office. We’ve gone so far as to turning the Bob Marley’s reggae songs into our own theme songs and coming up with a slew of slogans that would be politically incorrect anywhere outside the state of Colorado. If you're after a brand new TV this Black Friday, Samsung is one of the best brands around. There are some great discounts on Samsung TVs this Black Friday, including to its high-end QLED TVs, its 2018 TV ranges, and massive discounts on older 2017 Samsung TVs. Previously the Managing Editor at Tech.Co, Ann Diab has a background of launching and nurturing of startups and tech companies. Empowering and educating entrepreneurs and startups to better productivity and culture is her passion. Growth Manager at WorkingOn to enable folks all over the world to enjoy work and improve communication. Follow me on Twitter.